MMOs are not in vogue in recent years, it is a fact. Only a few hard-liners are still trying to penetrate the relatively saturated market ever since. Given the high bidding of Korean MMOs, it becomes complicated to propose an original and competitive project. 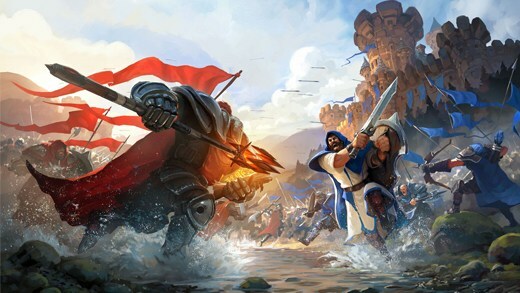 It is however the bet that tries to take up the German studio Sandbox Interactive with Albion Online. Strongly thought for its sandbox side, this mmorpg leaves a very important place to craft. Is this enough to attract the attention of players? 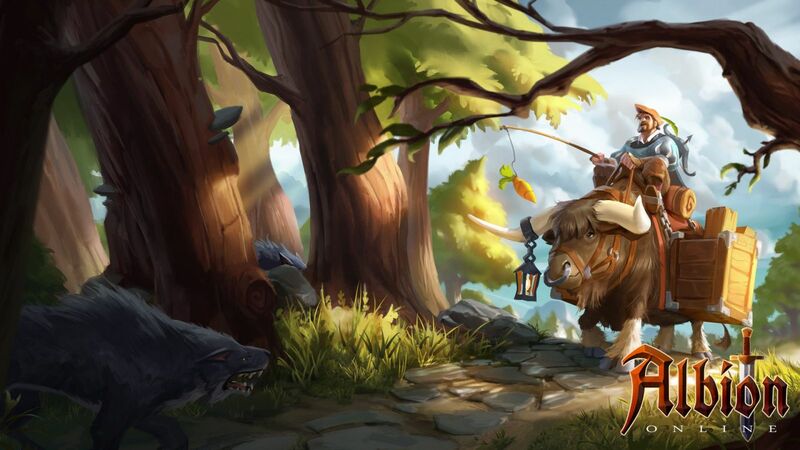 In any case, Albion online drew our own. If you've recently tested mastodons that only went low on a pc that blames it, then maybe Albion Online is for you. The game only takes a few gigas and is not very resource intensive. It must be said that the graphics are not ugly but do not take off the retina either. We find ourselves in front of a rather classic view of the top, with minimalist decorations. This side a little goes everywhere is wanted since the game is also cross platforms with versions iOS and Android. We saw more beautiful, inevitably, but this will not ruin the main assets of the game. And the common servers with the mobile versions are always an asset to take! In Albion Online, you will not find merchants who will sell you anything and everything. Everything you need is available either at the harvest (to make the objects eventually necessarily) or at the auction house. At the beginning of the game, you will find in the starting cities booths that propose to craft the basic equipment until the 3rd stage (or T3). Thereafter, you will have to use buildings built by players that will have to be upgraded and maintained to always offer superior services. On the other hand, owners can set a user fee. It can be relatively low, like 15%, for example, or it can be capped at 500%, which at this level is virtually extortion. This is where the personal guild and island system will prove useful. Guilds are often very useful in MMOs, especially not to be alone and to cope with high level content. Here, the guild can be used to find companions of weapon to traverse the PVE dungeons, certainly, but not only. Indeed, you can develop with your companions a guild island with buildings reserved exclusively for the members. The guildmaster will be able to lay the foundation of the building, and everyone will be able to contribute materials to complete the construction. This is what create a community according to your own rules. You can decide, for example, to tax each loot to constitute a common pool. If you are more of the lonely kind, you can also buy a personal island and develop it on the same principle. It's up to you whether your friends will have access to it or not! If you like crafts, you will be served. Indeed, the main principle of the game will be to harvest resources to be able to manufacture weapons, armor, but also tools of harvest that will allow you to recover materials of upper landing, and so on. We had mentioned the bearings (or thirds) previously. Farmer can seem very long and tedious, but it is really that way that you will be able to make you objects of superior quality. Up to third 4, you do not have to have many problems. You will be protected in the areas you will be exploring and you will only encounter hostile pnj which you will have no trouble to undo if your equipment matches the level of the zone. On the other hand, things become complicated later on. Albion Online is perfect for those who want to engage in PVP. The problem is that players do not really have a choice. 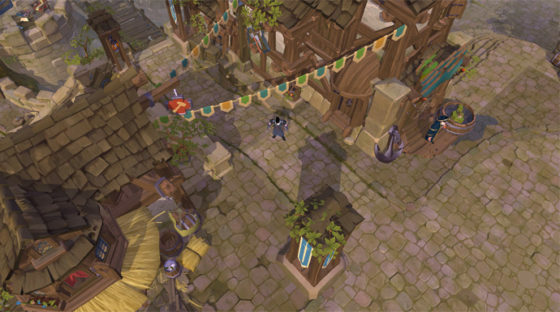 Once you have reached a certain stage, you are simply obliged to go through zones open to combat between the players in order to collect the materials of the desired level. And there is no talk of a nice PVP who penalizes those who faring the low level but of a system or whoever killed another player can pick up the equipment and contents of the inventory of his victim. Albion Online encourages completely free violence, it's clean! More seriously, it's a perfect system for guild wars, but it would have been relatively nice to think of the poor single player who can not survive for more than 15 seconds in a hostile environment. Because in these areas, guilds are in full swing. The good side is that fans will find epic clashes in teams, but the others will quickly calm down by well organized groups. A System Of Evolution Well Thought Out! In Albion Online, it will not be a question of making pseudo-scripted quests, but of accomplishing a number of goals (resembling enough in other games) to evolve your character. Want to have the opportunity to craft a T4 ax? So get ready to do a lot in T3 before you stick to it. You want to master powerful swords? You will have to kill a fairly huge number of monsters with a sword before you can progress. All you can do in the game is centralized in a huge skill tree called "Fate Panel". You will be able with the same personage to learn to master a bow in place of your sword with both hands if the heart tells you. But be careful, considering the farm time it takes, it is better to think about what you want to develop knowing that using an object will allow you to master it fully, but crafting objects of this type will be necessary if you do not want to be able to Make them and do not go through the auction house. Albion Online is quite unique in its kind. Do not look for the scenario. The heart of the game is only the farm. 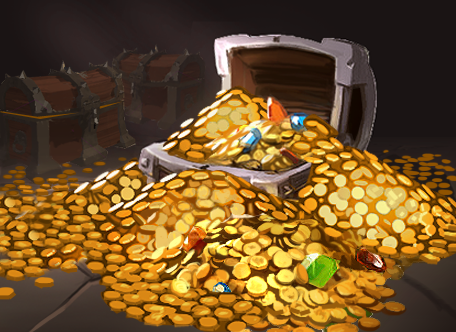 The absence of strong benchmarks on the universe of Albion Online and especially scriptwriting makes the experiment almost useless if you are not the type to hang on to the intensive farm. That said, if you are a follower of the sandbox side and the team PVP does not scare you, you could very quickly become addicted to Albion Online as the progression system of the character proves to be addictive. If you're looking for a bewitching universe and scripted quests, go quickly! Otherwise, the qualities of the game, as well as the possibility of developing a personal island as well as your guild island, could monopolize you tens of hours without you seeing the time scroll. In any case, we appreciate to see a little originality in the world very competitive MMO! Confirmation in July when the game is released.